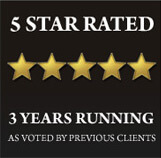 Westkin Assocaites’ immigration solicitors work across a wide range of immigration law cases. Our specialist teams are regulated to the highest level by the OISC allowing us to provide you with the most relevent and up-to-date legal advice which is especially important in an ever-changing area of law such as immigration law. We pride ourselved on going beyond our clients’ expectations and we strive to work closely with our clients, establishing trust and confidence, and delivering the results that they expect. Our immigration solicitors can advise and assist those who are detained and help them take the first steps in order to obtain bail. 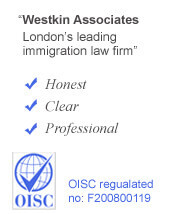 Contact our immigration solicitors in London today on 0207 118 7868, via info@westkin.co.uk or via the Enquiry Box on the right hand side of this page. The right to liberty is a right which should be enjoyed by individuals in the UK, regardless of their immigration status. This right was established in common law. Moreover, it is safeguarded by the European Convention on Human Rights. In certain situations, a person can be correctly deprived of their right and liberty, including when the immigration authorities are investigating whether a non-British citizen is entitled to enter or stay in the UK or where a decision has been reached to remove a person from the country. Below we have provided a basic outline of the process and procedure associated with obtainaing bail. If you have any questions contact our immigration solicitors on 0207 118 7868, on info@westkin.co.uk or by using the Enquiry Box on this page. A Bail Application is a request to the Immigration Officer or to the Judge for the release of an individual from immigration detention. Initially, representations are made to the Immigration Officer that the individual detained be released under what is known as Temporary Admission. However, this is quite a bureaucratic exercise, and the figures suggest that this option typically gets refused. Therefore, a Bail Application naturally follows suit. If the person in detention is released they will be expected to abide by certain conditions. The typical conditions are: (a) residing at a specific address, (b) reporting to a local police station and (c) sureties. At the bail hearing stage, the burden of proof lies on the Secretary of State. As a result, sureties act as guarantors who essentially confirm that a person will abide to their bail conditions. If the bail applicant does not comply with the conditions of their bail, the sureties risk losing their recognisance (this is a fee which they promise they will pay the Court if the applicant were to break the terms their bail conditions). The Judge will have to be happy that the sureties are suitable individuals (i.e. not have a previous criminal record and are of general good character. It is important to note that the surety(ies) need to have a settled status in the UK). Essentially, a First-tier Tribunal Judge will grant bail where there is no good reason to detain a person. The Judge will consider the following criteria in making a decision whether to grant bail or not. a. The available alternatives to detention. b. The length of the detention to date. c. The reason why the person has been detained. d. The effect of detention upon the person. e. The chances of the individual complying with conditions of their bail. We, at Westkin Associates, can provide legal representation throughout the whole process of securing bail. We understand that this is a stressful period in one’s life, and therefore treat each matter with sensitivity and ensure that we provide the highest standard of care and legal knowledge from start to finish. Our Immigration Solicitors always go the extra mile in order to satisfy the needs of our clients. Contact us today on 0207 118 7868, via the email address info@westkin.co.ukor using the Enquiry Box on this page.